and ethical ​aspects of ​piloting a drone. Students will ​take ​a ​theoretical exam ​to assess ​their ​legal​ and​ ethical knowledge ​​about ​drones. ​There ​will be ​a pre-test ​and another ​after ​imparting legal ​ ​ and ​ ​ ethical ​ ​ knowledge ​ ​ about ​ ​ drone ​ ​ flight. This project has been made for computer science students of different nevels of professional vocation. The ICAROS team will ​create ​a drone ​usage ​protocol. Students ​will also ​learn to ​pilot ​a ​drone ​in ​this activity. A ​low ​cost ​drone ​will be ​used ​to ​carry out​ the ​practices. As the ICAROS​ I drone is an expensive ​drone, ​only ​those ​ ​students who demonstrate a ​minimum ​skill ​with ​the practices dron will be ​able to ​fly ​the ​ICAROS I ​drone. The ​drone ​when ​flying ​will ​be attached ​to the ​pilot ​by ​a ​nylon string. The ​drone​ will be attached​ to ​the pilot ​by ​a nylon ​string that ​supports​ more than ​20 kilos of ​tension. That ​rope will ​ create ​a ​safety zone ​outside ​its ​range. 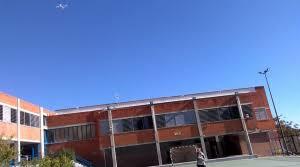 It ​is ​forbidden for ​the ​students ​pass ​through the​ area ​while ​the ​drone ​is flying. The flight ​area ​must be ​clear. ​There ​should be​ no ​trees, other objects ​or ​people ​in that area. Students will read some ​web ​pages ​that ​warn ​of ​the ​dangers ​and ​problems ​involved in piloting ​a drone. Check ​is ​the flying​ zone ​is ​clear. The remote ​control ​is ​switched ​off. The​ drone ​is ​properly ​tied with ​the ​nylon ​string. Fix the ​end ​of ​the​ nylon ​string ​by ​stepping ​on ​the reel. Switch ​on ​the ​remote ​control. Synchronize the drone ​with ​the ​remote ​control. Leave the remote control ont the floor. Put the dron in the takeoff zone. Know the ​legal aspects ​of ​flying ​a ​drone. 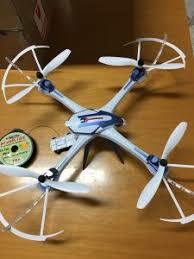 Develop the ​skills needed ​to ​pilot ​a ​drone. Know he difficulties ​and ​risks of ​flying a drone. Increase ​the ​motivation of the ​students. Know and implement ​security ​protocols. Let ​to ​know ​to​ the ​scholarship ​community ​of the risks​ of ​flying ​a ​drone.